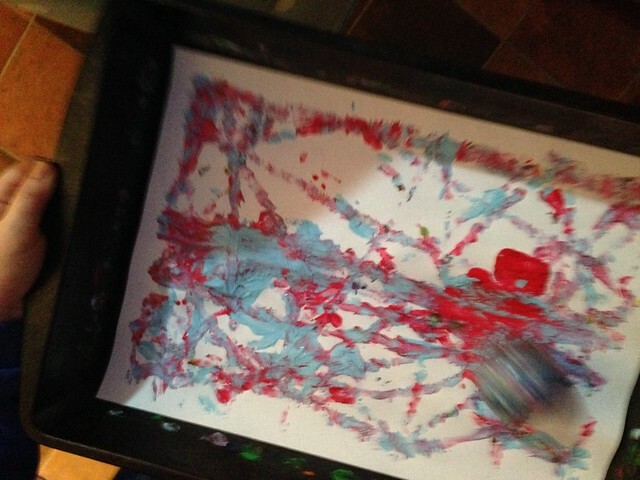 Bee's Circus: Preschool Crafts: Ball Painting. 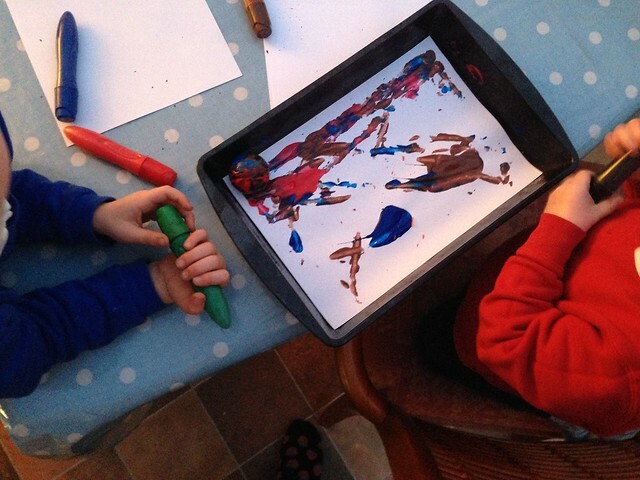 Joshua loves the Cbeebies app, particularly the game where you can make a picture with Bing. 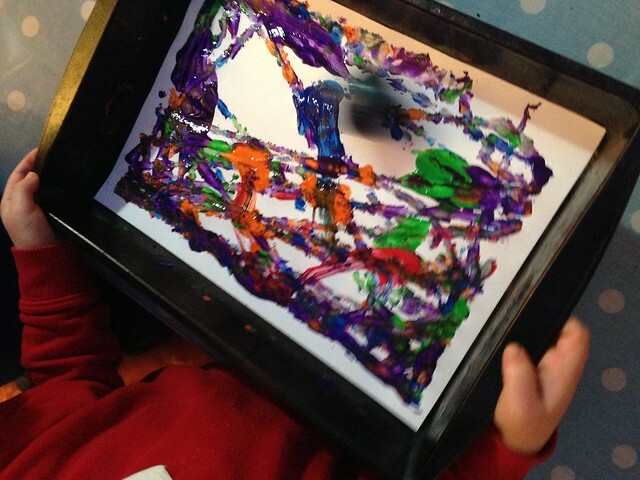 He likes choosing the colours, and his favourite by far (except possibly the stickers, standard) is using the ball to roll around the paper to make a picture. It suddenly struck me how easy that would be to do with actual paint! We used a baking/roasting tray with high sides, a bouncy ball (smooth and easy to clean!) and these Squeeze 'n Brush 12 Classic Colours paints because we go for minimal mess at Nanny's house. Most of the time. 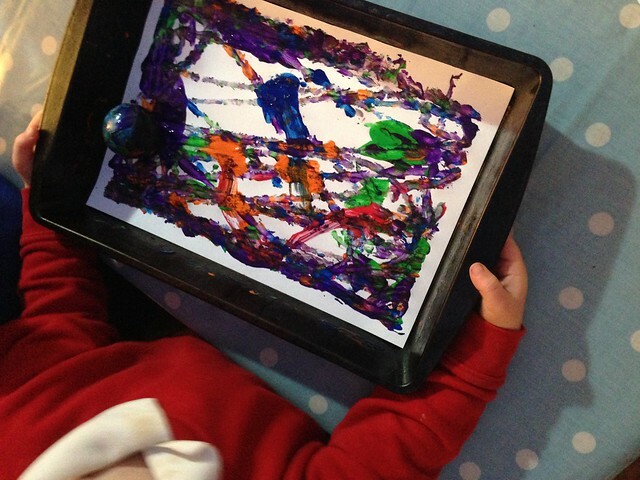 We squeezed out blobs of paint onto the paper and took turns moving the tray so the ball rolled around and made some beautiful pictures. 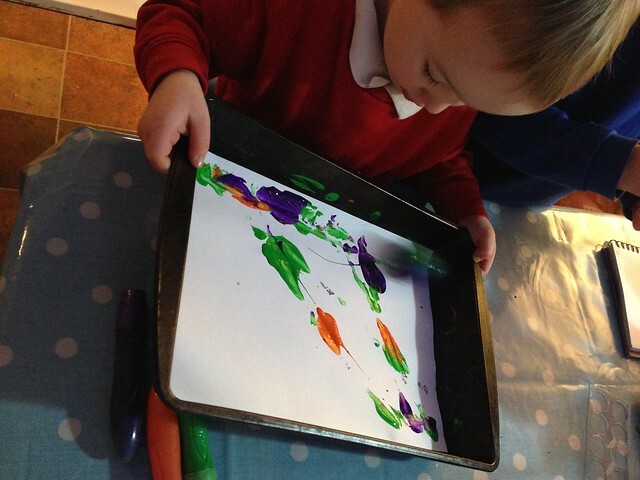 We spoke a little about mixing colours but the yellow had run out so we couldn't test out making green or orange. Maybe next time. This kept us entertained for a good half hour, we made half a dozen pictures before the boys went off to fight crime/slay dragons/drive racing cars. Pretty good going, if you ask me! This post contains affiliate links. Every little helps! Ten on ten. January 2015.